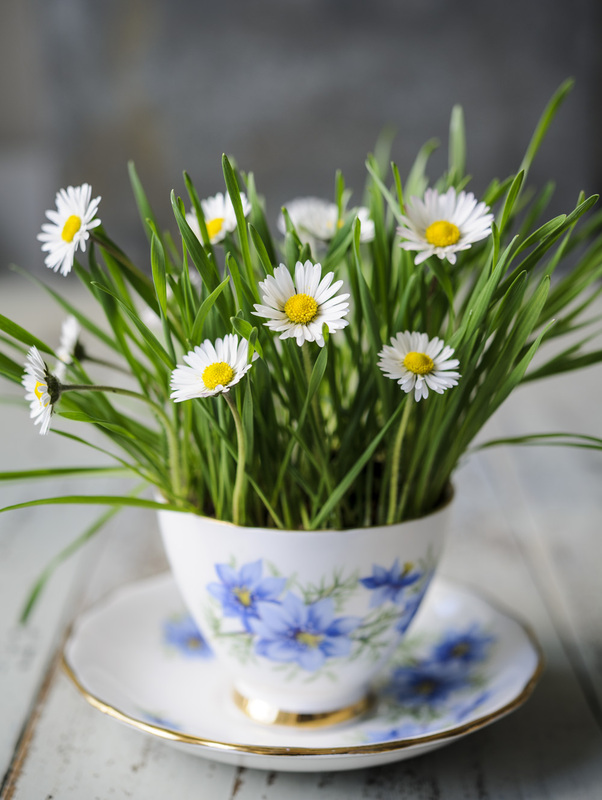 My name is Louise Curley and I’m a freelance writer and stylist with a passion for plants whether they’re growing in my garden, on my allotment or in the countryside. I’m a great believer in the power of nature to transform our lives whether that’s a walk in a local wood, digging up home-grown potatoes or marvelling at a patch of wild flowers on the daily commute. In a world where it feels like humans are doing their very best to damage our incredible planet and where our connections with the natural world are being increasingly eroded nurturing your own plants is one of the best ways to feel like you’re doing something constructive to care for our environment. And why Wellywoman? Well, I’m happiest when I’m in my wellies. If I’m wearing my trusty green boots it means I’m either in my garden surrounded by plants, at my allotment growing tasty fruit, veg and beautiful cut flowers or walking in the gorgeous countryside around my home. For some women, they’re happiest when their feet are ensconced in a pair of expensive Manolo Blahniks or Christian Louboutins, for me it’s a pair of mud-splattered wellies. When I’m not sowing, picking flowers or digging up spuds I’m writing about plants. 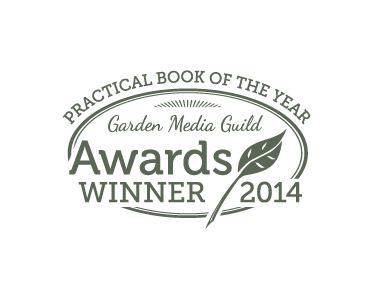 My first book The Cut Flower Patch was voted The Garden Media Guild’s ‘Best Practical Gardening Book of 2014’. I wanted to show that it’s possible to grow lots of cut flowers for your home even if you don’t have a lot of space. Based on my own experience of devoting a few beds on my allotment to cut flowers it’s a guide on how to grow, pick and arrange, with beautiful photographs from award-winning photographer Jason Ingram. My second book The Crafted Garden is to be published in 2015. This book brings together my passions of growing, crafting and nature. Project-based it takes you through the seasons with ideas on how to use plants you can grow in your garden, in containers or on your allotment to decorate your home or to make gifts for friends and family. I write for the gardening section of The Guardian and for a variety of garden magazines including Gardeners’ World, The Garden – the magazine of The Royal Horticultural Society, Grow Your Own, Garden Answers and The English Garden. If you would like to contact me (other than posting a comment) please send a message to sweetpealou@hotmail.com and I will try to get back to you as soon as possible. Thanks for your kind comments about our mail order organic plants. I’d just like to add that they are grown in peat-free compost. My wellies are a serviceable black. Bought in horror just after we moved into our new house, and it threatened to sail off to sea. Two years of winter floods, now gravel paths and kinder winters have put the wellies into hibernation. Tomorrow’s post I’ll bring you sunny South Africa. You look so at home in your wellies – used to love mine and the ease of slipping them on (though not off for some reason). Have not worn wellies since volunteering for a gardening charity – the health and saftey gremlins have left me with the horrors of a fork pranged through my toe or a spade that slipped. It took me a few minutes to figure out what “wellies” were, but I love your blog site and now I know what wellies are!! I am glad I have just found your blog as we have just taken on an allotment and your posts have been really interesting and helpful. I love your green wellies. Style and comfort. Morning! I’m nominating you for the Very Inspiring Blogger award which I’ll publish in a moment. You dont need to do anything, its just to say I like your blog! May I use one of Sissinghurst Garden in our Swiss magazine? We have environmental themes. Hi Stefanie, Thank you. If you would like to send me an email to sweetpealou@hotmail.com. Then we can discuss further. Best wishes. You can email me at sweetpealou@hotmail.com. I am hugely impressed that you’ve been recommended to me by Amazon! I have a copy of your wonderful book The Cut Flower Patch which is already looking somewhat dog eared as it travels everywhere with me! My tiny garden has had a revamp in order to accommodate my own cut flower patch. I have tried very hard but failed to get hold of the beautiful salmon pink Dahlia ‘Yvonne’ featured in the book. Do you happen to know where I can get it please? My name is Nick. I represent Camminare UK. Camminare manufactures EVA wellington boots. Is there any other way i can contact you to discuss our product with you to see if you would review it? Just a quick comment to say how useful I found your Cut Flower Patch book. 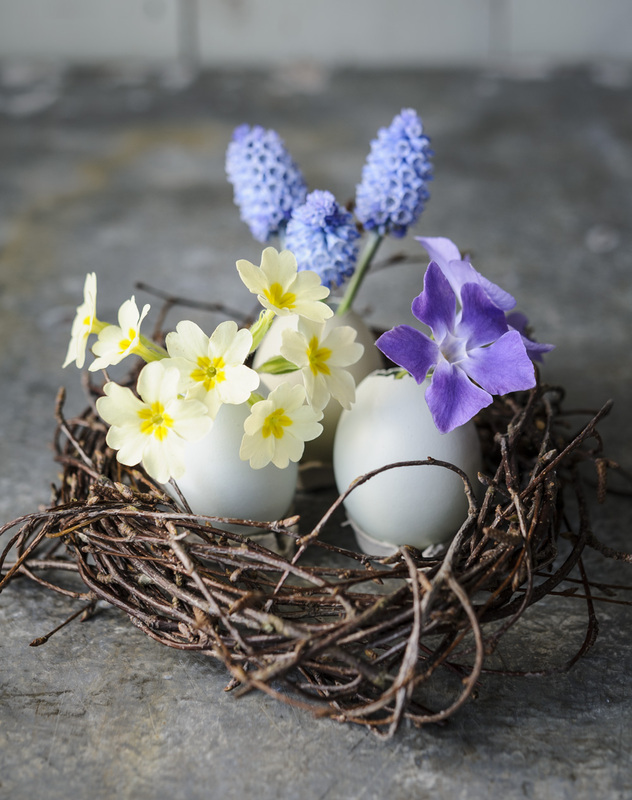 Our nursery sells native British wild flowers as cut flowers to florists – the idea is that it will both promote their beauty and give a nudge about our rapidly disappearing heritage to a wider public (as well as make money for us, obviously!). We’re now moving into cottage garden flowers that are wildlife friendly and finding your book has helped enormously with the transition. It’s incredibly practical and full of down-to-earth tips that have completely taken the stress out of the difference in growing styles and given us some really good ideas. 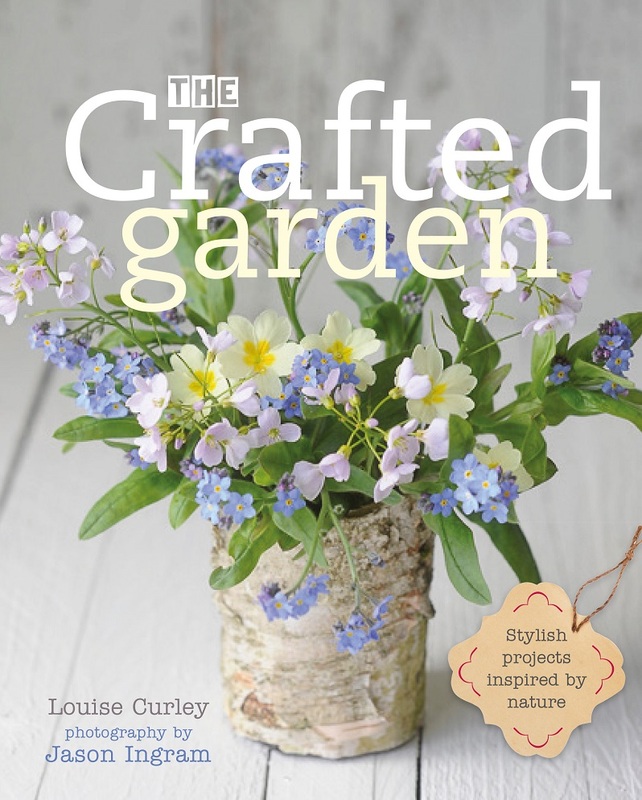 I’m very much looking forward to buying The Crafted Garden – is this out yet? 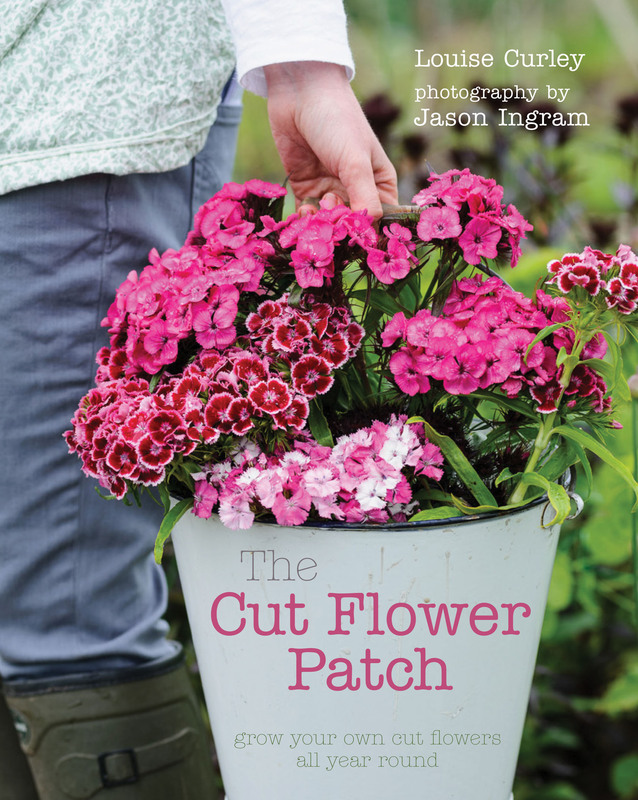 I had to order the Cut Flower Patch through Amazon, as I couldn’t find it anywhere in our local shops, but if you’re selling it direct, or through your blog, I’d prefer to buy it that way than Amazon, even if it costs a little more. Hope this helps and I hope you enjoy it. I’ve ordered The Crafted Garden as you suggested and am looking forward to some more great ideas. Just to say how useful I found ‘The Crafted Garden’ for attractive ideas about seasonal gifts. I adapted your Christmas wreath design for some of our Christmas door wreaths and they were extremely popular with our florists! Hi Victoria, Thank you so much for your message. It’s so lovely to hear you found the book useful. 🙂 I hope you have a lovely weekend. I am just an office worker in Canada who dreams of running her own organic agri business or cut flower business. I loved “The Cut Flower Patch” and have ordered The Crafted Garden. Your blog and books make me feel like it isn’t simply a dream. I can do something like this and I will. Thank you. Thank you for your comment. I’m so pleased you liked The Cut Flower Patch. I hope you like The Crafted Garden too. Good luck with your plans. Best wishes. We need your help! I work for a casting director called Lesley Beastall and we are looking for real gardening fanatics and allotment dwellers for a commercial we are casting for the BBC. We were delighted to discover your blog! It would be a paid job. We would love to hear from you if you are interested in knowing more. I grew up, living on a farm, with a wunderful garden. But having a bed especially for cutflowers was a new idea to me. So: Thank you very much! Wunderful insperation! Hi Stefanie, Thank you for popping by and leaving a comment. I’m so pleased to hear you’re loving growing cut flowers. It’s really lovely to hear that my book has been an inspiration. Vielen Dank!